With nice sandy beaches, breathtaking attractions, and plenty of ocean views; it’s no surprise Florida is one of the more sought after vacation destination. 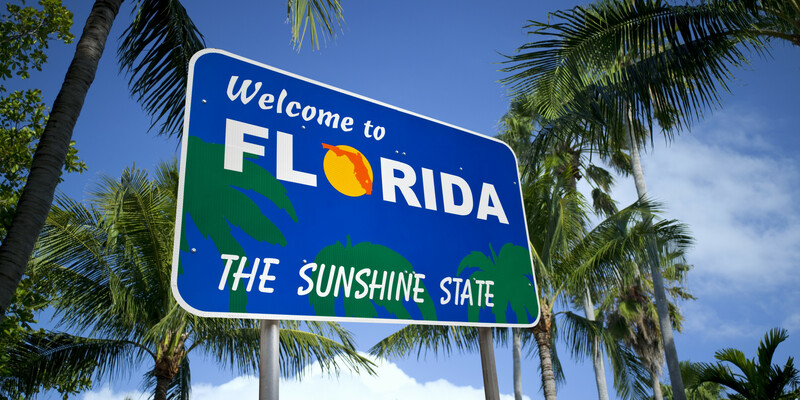 However, there is more to The Sunshine State than just fun in the sun. From sports to history, here are five reasons to visit Florida. From college to major league sporting events, Florida has it all. With teams like the Florida Gators, Tampa Bay Buccaneers, and more; it’s no surprise guests come from all over the world to enjoy the year round sports. Whether you’re looking for football, hockey, baseball, or more; there is something for every sportsman. One of the more popular reasons for visiting or vacationing in Florida (aside from the vast array of beaches) is due to the amazing theme parks available. The most popular destination for theme parks is Orlando, as it is home to more parks than any other city in the state. Orlando based theme parks include: Disney World, Universal Studios, SeaWorld, Legoland, Discovery Cove, and more. Whether you like museums, art, or everything in between; visitors of Florida have the opportunity to check out: the National Museum of Naval Aviation, the Museum of Science and Industry, the Ringling Museum, or even the Kennedy Space Center. Many people may not be aware, but Florida is home to a variety of national parks and natural sites. From the Everglades National Park to the Kissimmee Prairie Preserve State Park, you can view rare species of animals, plants, birds, or even take a prairie buggy ride. Many people are unaware Florida was occupied prior to the English landing at Jamestown. In fact, 55 years prior to the first pilgrim at Plymouth Rock, St. Augustine was founded by the Spanish. From the oldest continuously occupied European establishment to its rich military history, Florida is a history buffs dream.